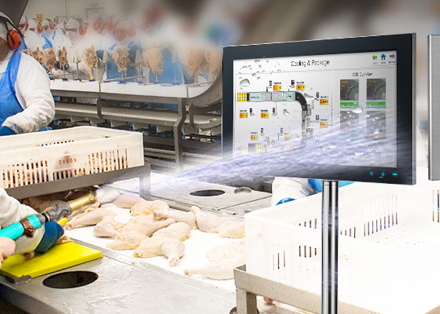 Cognex's machine vision systems provide the food and beverage industry with reliable, top-of-the-line inspection solutions. These products enable manufacturing engineers to meet tough packaging, safety, and quality goals. From allergy management, to achieving tracking & traceability, and so much more, Cognex covers the needs of many industries, including those of the food & beverage. Along the food supply chain – from production, processing and distribution – robots can be a great advantage for several application areas. There's a number of SCARA and collaborative robot options, including washdown robots made just for the food & beverage industry, that also meet its specifications and can work in harsh environments, including heat and cold. 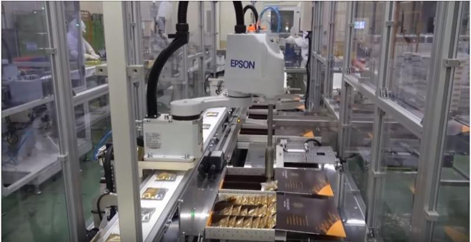 From collaborative robots that can work right beside humans, to high-speed SCARA robots that offer the utmost precision, we offer solutions for food and beverage manufacturers and their unique, time-sensitive, needs. Can Work in Harsh Environments Including Heat, Cold, etc. From recipe management to process, batch, and packaging control, to overseeing the complete factory operation, smart, reliable, secure technology is a must for the food and beverage industry. Stainless Steel PC's and PC workstations that are designed specifically for the food & beverage industry are easy to clean, and are IP-certified.